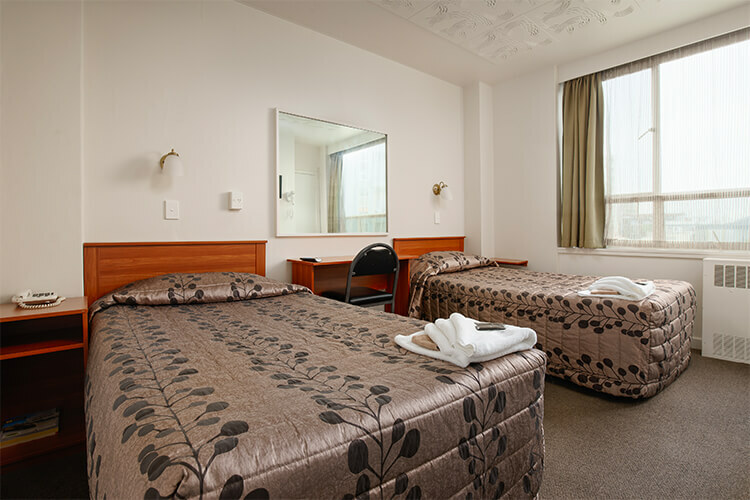 Our twin rooms are of modest size and very comfortable - whether you're looking for rooms for sports teams, a conference or just two friends, our rooms offer great value for a good night's sleep. 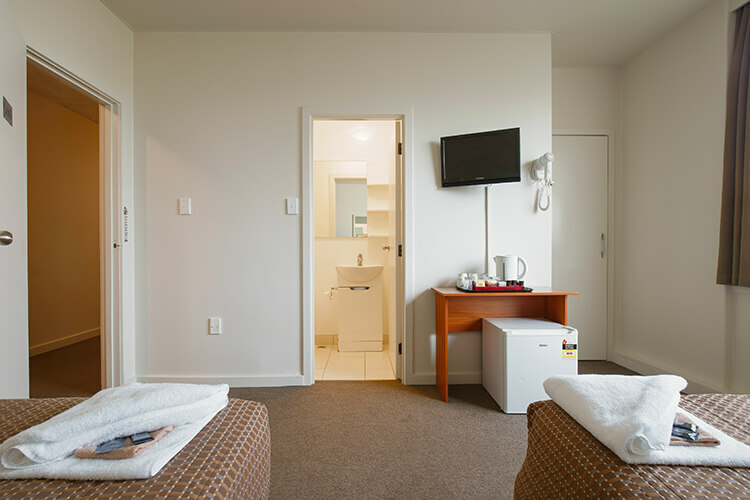 Each room is equipped with two king single beds, LCD Television, refrigerator, hairdryer, writing desk, wardrobe, tea & coffee making facilities and ensuite bathroom. Approximately 13 sqm.